← Organic Beauty Week is here! Over the years lavender essential oil has become my cures-all-miracle-product whether it’s a few drops in my bath, dotted on my pillow at night to help me nod off or applied directly to blemishes as a spot treatment. You can apply lavender oil undiluted to the skin; I often use it as a natural perfume or I rub some into my scalp and hair to freshen it up in between washes. As well as being anti-bacterial it’s also a powerful anti-fungal so it’s great for treating bites and fungal conditions such as athlete’s foot. 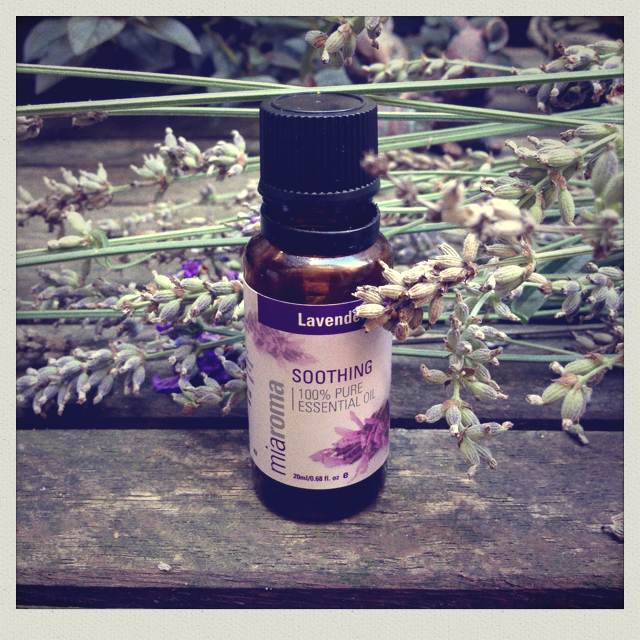 Please note that lavender oil is contraindicated for pregnant or breastfeeding ladies. Available from: I buy Miaroma from my local Holland & Barrett. They also stock an organic version by Dr Organic and base oils such as almond oil, in case you want to dilute the lavender into a soothing massage oil. Alternatively, Essential Care’s lavender oil is certified organic by the Soil Association and costs £4.50 for 10ml, plus £2.95 p&p.